Nothing says summertime quite like warm sunshine above and the open road ahead. That’s right, folks, touring season is officially here and it's time for a motorcycle road trip. Whether you’re riding around town or gearing up for an epic road trip, now is the time to get the most use out of your Harley Davidson motorcycle. To enhance your riding experience, Harley Davidson offers a wide range of touring products fro increased comfort and added convenience. New riders and touring veterans alike realize the importance of comfort and convenience while exploring new places on their bike. That’s why Indianapolis Southside Harley-Davidson carries many great products no matter what kind of Harley you ride or where you ride it. Talk to a parts & accessories specialist at Southside Harley today and tell us about your riding style. We’ll teach you what you need to know, and get you set up and ready to go. Here are 5 motorcycle road trip tips to tour in comfort on your Harley-Davidson motorcycle. These licensed products are sure to make your motorcycle road trip better. 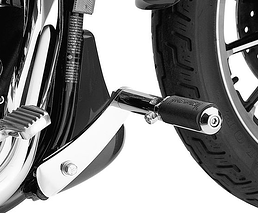 Adjustable Highway Peg Mounting Kit – With long and short angled options, these kits offer versatility for taller and shorter riders. 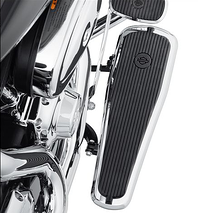 Rider Running Board – Longer and wider footboards let riders stretch out, relieving muscle tension and reducing fatigue along the way. 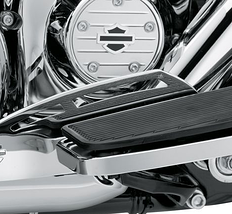 Rider Footboard Heel Guard – Love your Harley but hate cleaning those rubber scuff marks off your exhaust shield? Protect your boots and your bike at the same time. A hard seat is no way to enjoy the great outdoors on your Harley-Davidson. Check out the Road Zeppelin seat, with a unique air bladder system that evenly distributes weight across the entire seating surface for you and your passenger. Get rid of pressure points and enjoy the added comfort of enhanced shock absorption and reduced vibration. No one understands your riding habits better than Harley-Davidson. 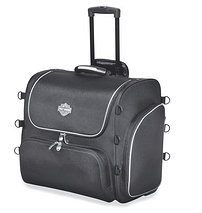 And it shows with such a huge variety of adjustable luggage options. 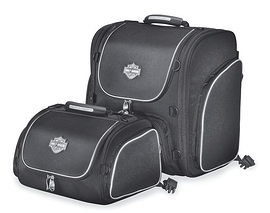 Genuine H-D luggage offers reflective trim, integrated rain covers, secure mounting systems and more, all accented with that unmistakable Bar & Shield logo. 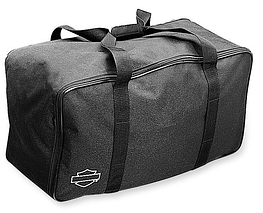 No matter where you go or how long you stay, Harley has the right luggage for you. Bringing some tunes with you on the road? Equip your motorcycle with Boom! 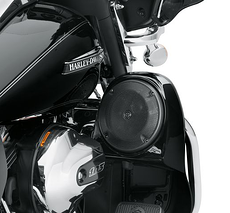 Audio components, exclusively from Harley-Davidson. 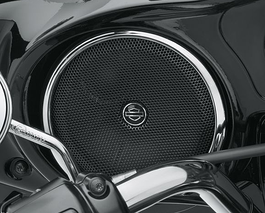 Featuring premium speakers, amplifiers, and other audio upgrades, these products are designed for Harley riders and their favorite motorcycles. 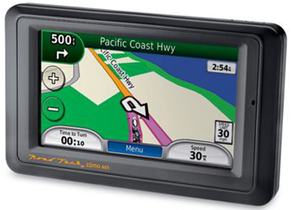 You can leave your maps behind and let the Road TechTM zumo® 665 be your guide. 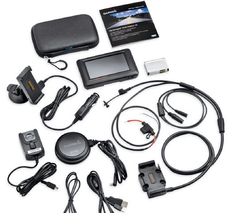 This motorcycle-friendly navigator is more than just a GPS unit – it offers options such as continuously updated satellite weather and traffic information as well as stereo Bluetooth® and SiriusXMTM Satellite Radio. This item is only available for purchase in-store so stop in and get more information. 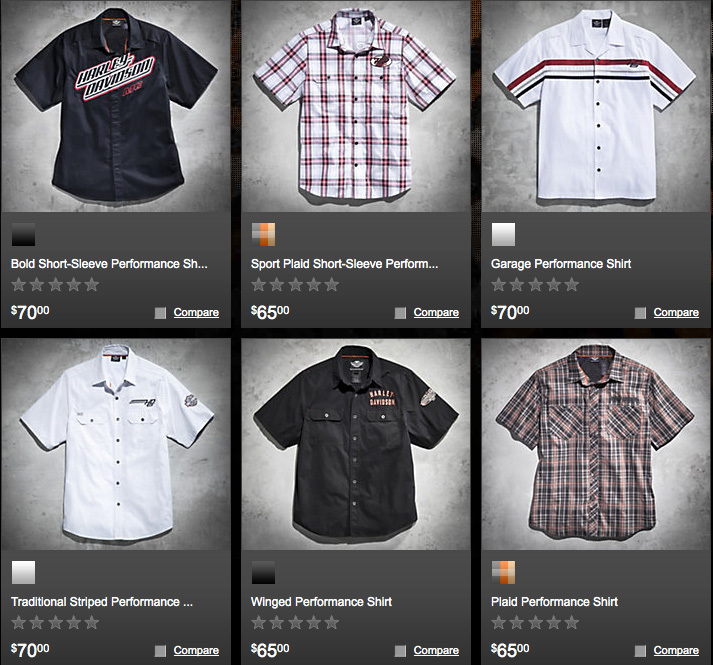 These are just a few of the countless options we have in stock at Indianapolis Southside Harley-Davidson. Want to see what’s new for 2014? Visit Southside H-D today, where you can learn more about official Harley-Davidson touring products, get demos, and try items out for yourself. Indiana is the Crossroads of America. Before you choose a road of your own this touring season, let Indianapolis Southside Harley-Davidson get you there in comfort, style, and safety. 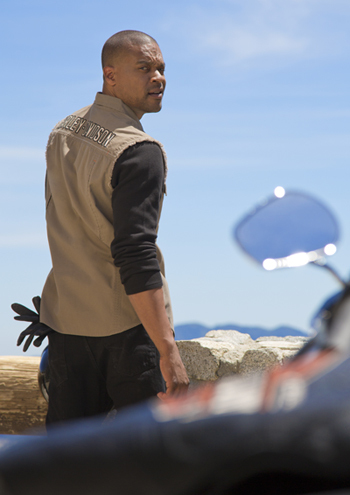 This is what you have been waiting for – the summer riding season. But along with this much-anticipated time of year comes some hot-weather riding. You have to deal with heat from the sun, ambient heat from the road and heat generated from your motorcycle. 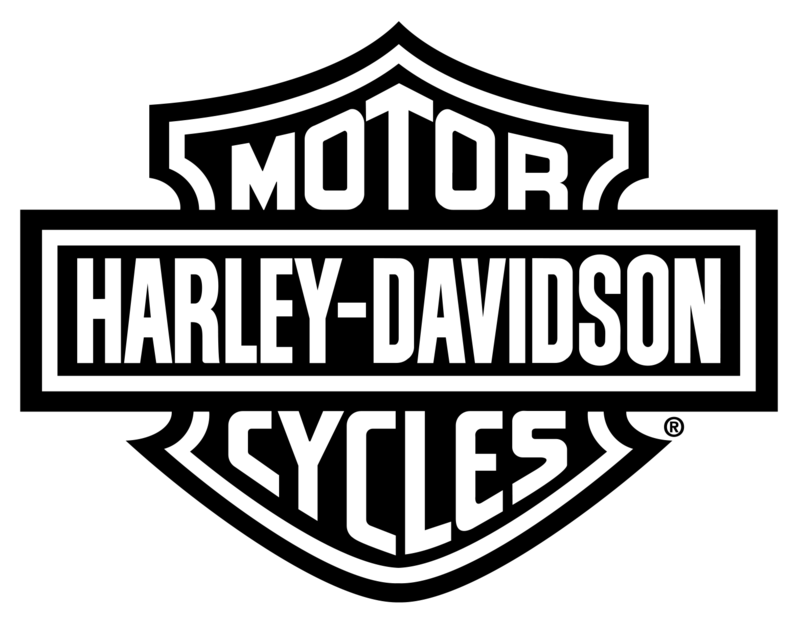 Harley Davidson offers a number of products that are designed to help keep you cool and comfortable while in the saddle. The key to maintaining comfort during hot-weather riding is proper air circulation, whether it is deflecting hot air away from you or circulating cooling air toward you. Check out the following HD Accessories that are sure to help cool you down on hot summer days. 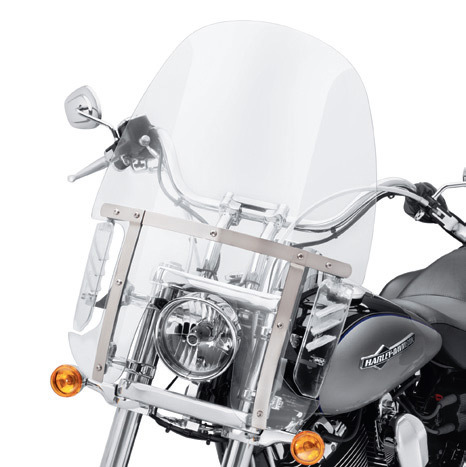 This Mid-Frame Air Deflector, designed specifically for severe duty and extreme temperature applications, will improve your comfort during the summer riding season. The kit includes all required mounting hardware. Available for Dyna® and Softail® models. 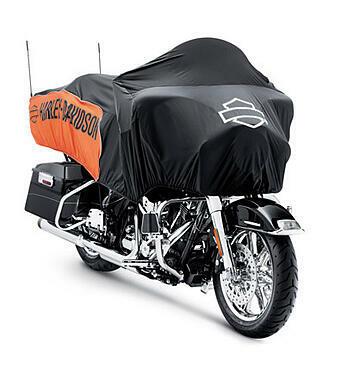 Motorcycle covers, such as the Harley-Davidson® Oasis Day Cover, will do an excellent job of keeping your bike cool and protecting it from UV rays while it is parked. Lightweight and compact for travel, the easy-to-store Oasis Day Cover rolls into the built-in bag. 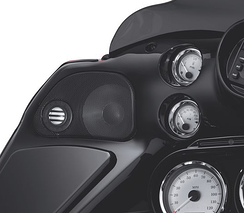 With rear hook-and-loop closures, the cover can easily slip over your motorcycle’s antennas, and the elastic bottom hem and footboard stirrups ensure a snug fit. 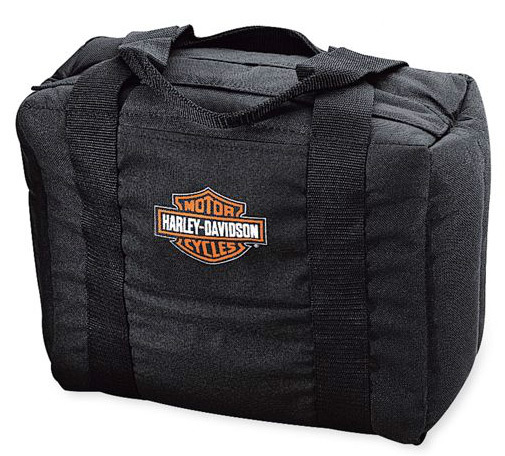 Perfect for hot summer rides, the Harley-Davidson® Saddlebag Coolers are fully lined and insulated to keep beverages cold. 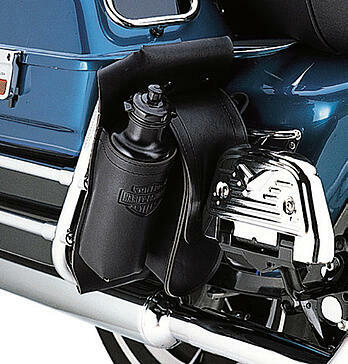 These zippered bags conveniently fit right into your existing saddlebags and have room to keep up to twelve 12-oz. soda cans cold. Available in Slant or Square Style. The storage section of the Saddlebag Guard Bag features a hook-and-loop outer closure as well as a zippered inner closure to keep items such as sunglasses, wallets and cell phones secure while still allowing easy access. This bag also features a removable water bottle with the Bar & Shield logo, providing convenient access to water anytime on long rides, making it a great warm-weather product. The 3D construction of the Circulator pads promotes air movement and reduces heat buildup where your body touches the seat or backrest. Designed to keep you cool by reducing the perspiration buildup between you and the seating surface, the Circulator Pad can be installed or removed in seconds for easy cleaning. The low-profile design minimizes seat-height change compared to inflatable pads, while enhancing comfort with its shock-absorbing construction. Manufactured of UVstable materials, these pads resist fading when exposed to the sun. The elastic under-seat strap and non-slip base provide secure installation. 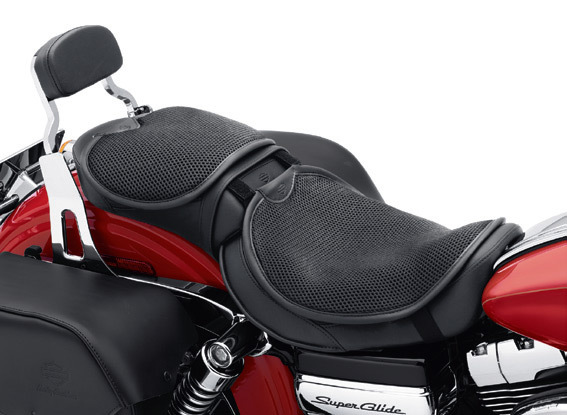 A complementary Circulator Passenger Pillion Pad, which attaches to the rider pad with hook-and-loop tabs, is also available. 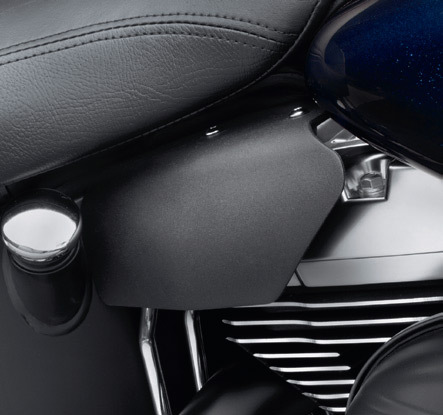 A great way for you to beat the summer heat and prepare for around-town cruising is by removing the fairing lowers on your Ultra Classic® Electra Glide® model. 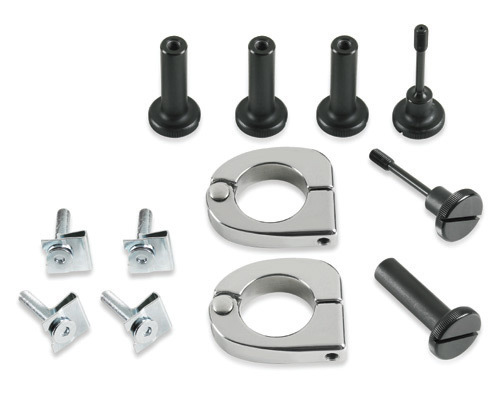 This kit includes highly polished stainless steel clamps that are detachable without the need for tools. In addition to HD Accessories, here are some other tips to keep in mind when riding in hot weather. To keep yourself cool and in control when summer temperatures climb, you must also keep your body temperature in the proper range. Riding when the outside temperature is greater than 90 degrees can be dangerous to your health. Unless you take the proper care to keep your body temperature under control, rides as short as an hour can result in heat exhaustion or heat stroke. Other suggestions include: -keep your trips short -take frequent pit-stops, -drink plenty of water throughout your day and trip -wear breathable riding gear designed to let your body cool down. 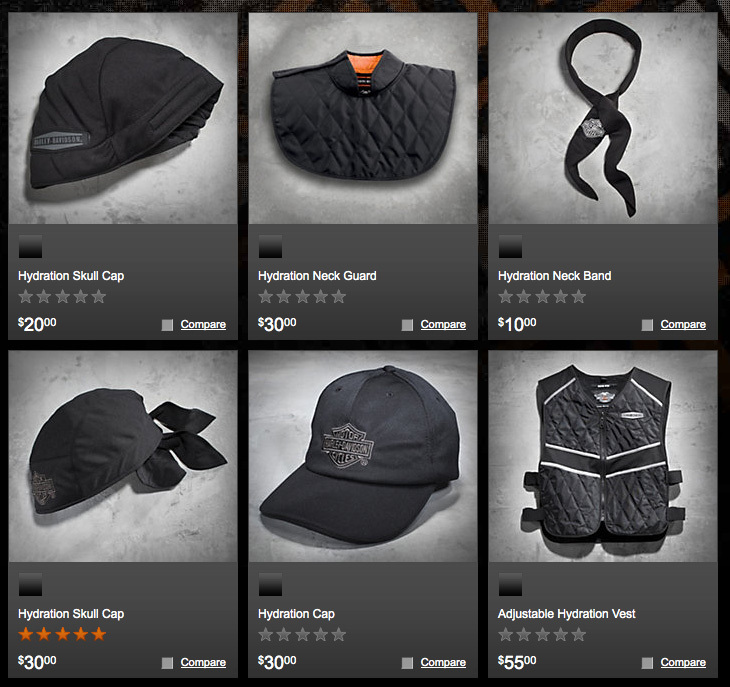 Below are a few examples of available hydration gear. When you're riding along on a hot day, the wind rushing by can quickly whisk away perspiration, nature's cooling system. It's easy to become dehydrated without even realizing it. If you feel fatigued or flushed, or if you suffer cramping in the arms and legs, see darks spots, or are dizzy, you are likely suffering from dehydration. If left untreated, dehydration can lead to heat exhaustion. 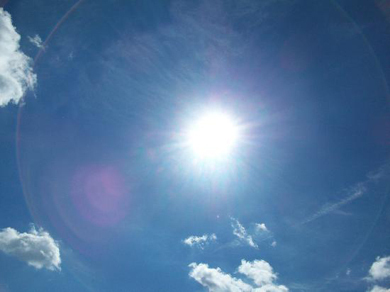 Heat exhaustion in turn leads to heat stroke, which can creep up on you, and it can be deadly! Symptoms of heat stroke are headache, dry skin, and disorientation. Extreme cases involve complete loss of consciousness. Lack of fluids is the number one trigger of daytime fatigue, and even a mere two percent drop in body fluids can result in fuzzy short-term memory, confusion, and difficulty focusing. Not something you want to experience while on your bike! How can overheating and dehydration be prevented? · Drink plenty of fluids, especially on hot, sunny days. Drink at least a quart of liquid before you leave and then at least that much every hour you're riding, more if it's really, really, hot. Avoid tea, coffee, soda, and alcohol, as these can lead to dehydration. Drink appropriate sports drinks to help maintain electrolyte balance. · While riding, take frequent drink breaks and keep your body cool by misting with water or using a wetted neck/head wrap. Rest in a shaded or air conditioned area when stopped. · Make sure you are taking in more fluid than you are losing through perspiration. A good rule of thumb is you should need to urinate every time you stop. Try to schedule your ride during the cooler parts of the day, such as early morning and late afternoon. · Wear lightweight, absorbable, breathable, loose-fitting clothing in light colors. Exposed skin can speed up dehydration. · Protect yourself from the sun by wearing a bandanna or skull cap to keep the sun from beating down directly on your head. · Protect your skin with sunblock. Make sure it's water resistant so it won't run in your eyes if you're sweating. Use at least SPF 30 and make sure you re-apply often during your ride! · Know when to stop! Dizziness, flush, weakness, and cramping are all signs of heat exhaustion. If you're riding with friends, know the signs and watch out for one another. In extreme cases, seek medical help! For all Harley-Davidson motorcycle lovers. Subscribe to our blog to learn the best maintenance tips, Harley events going on in the Indianapolis area, best parts & accessories for your needs, and more!